If you are looking to buy in bulk, we offer wholesale pricing on most of our products. Please send us a message on Etsy with the quantity you are looking for as well as your postal code and we will get back to you with a quote for the product + shipping. 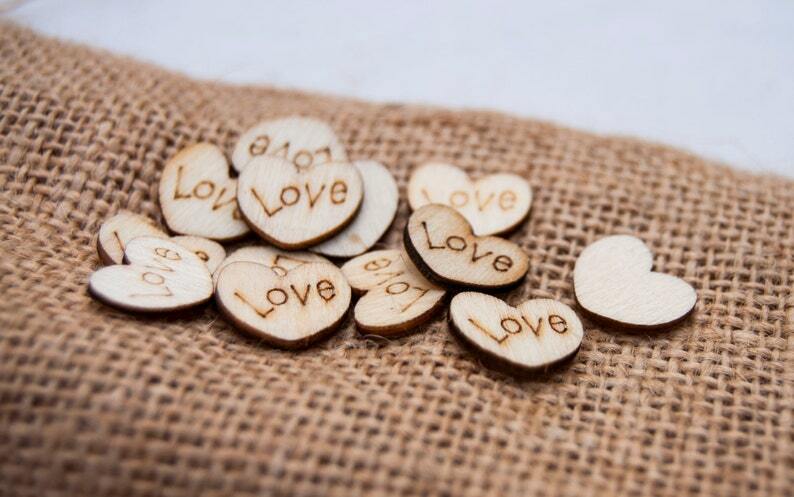 Lovely little wooden hearts that will be scattered on the tables at our wedding. We absolutely love these! It real wood! These are absolutely adorable! So tiny and delicate. 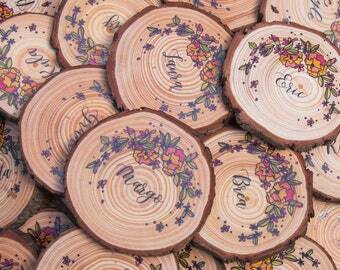 They are perfect for the tables at the wedding rehearsal dinner. We can post to all countries except New Zealand (sorry quarantine is too strict and wont allow raw wood items). All our timber is sourced from trees that have grown in a great variety of locations and under different conditions. They have formed weird and wonderful shapes with knobbly bits and side shoots and uneven branches. No two pieces will be the same and we think this is a great thing! If you are looking for perfect replica pieces this may not be the shop for you. That said, we do not throw just anything in a bag and send it, we inspect every piece to make sure it is suitable and is of a quality that we would be happy to receive. We do wholesale. Please send a message with details of the product and the quantities you require and we will be happy to get back to you with pricing. Are the wood products dry? Yes, all our wood products are fully dried before they leave our shop.